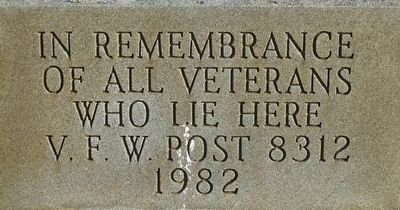 Erected 1982 by VFW Post 8312. Location. 39° 42.79′ N, 84° 0.625′ W. Marker is near Beavercreek, Ohio, in Greene County. Marker is on Dayton- Xenia Road (County Route 142), on the right when traveling west. Touch for map. memorial is in Beaver Cemetery, next to Beaver Church. Marker is at or near this postal address: 2016 Dayton Xenia Rd, Dayton OH 45434, United States of America. 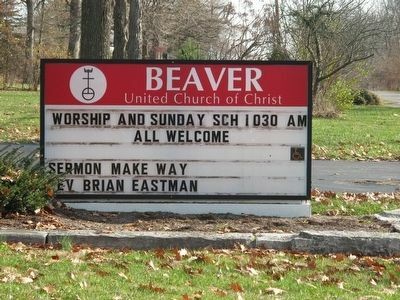 Touch for directions. Other nearby markers. At least 8 other markers are within 4 miles of this marker, measured as the crow flies. 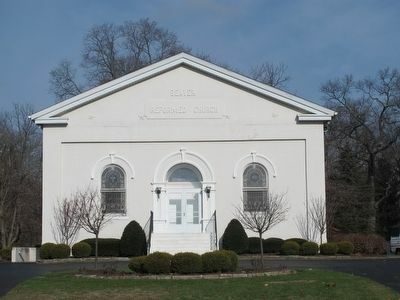 First Courthouse of Greene County (approx. ¾ mile away); William Maxwell (approx. 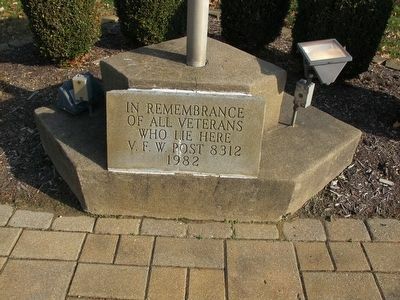 1½ miles away); Beavercreek Veterans Memorial #1 (approx. 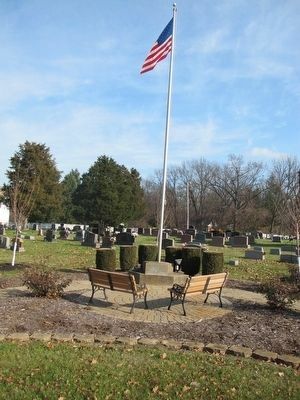 3.3 miles away); Beavercreek Veterans Memorial #2 (approx. 3.3 miles away); Beavercreek Veterans Memorial #3 (approx. 3.3 miles away); Beavercreek Veterans Memorial #4 (approx. 3.3 miles away); The Sexton Point (approx. 4 miles away); Kenton's Gantlet [Gauntlet] (was approx. 4 miles away but has been reported missing. ). Touch for a list and map of all markers in Beavercreek. More. Search the internet for Beaver Cemetery/Church Veterans Memorial. Credits. This page was last revised on June 16, 2016. This page originally submitted on December 10, 2015, by Rev. Ronald Irick of West Liberty, Ohio. This page has been viewed 142 times since then and 5 times this year. Photos: 1, 2, 3, 4, 5. submitted on December 10, 2015, by Rev. Ronald Irick of West Liberty, Ohio. • Bill Pfingsten was the editor who published this page.